If you missed the first one, Christopher Kelly and I will be hosting another live seminar on uBiome, Genova Diagnostics, Great Plains and Doctors Data gut testing! Thank you to our participants and your feedback on the inaugural GI Webinar! Would you like to have your testing reviewed and some of your questions answered? What are your questions about the species that you see on your uBiome stool microbiota 16S rRNA analysis and how may it apply to your health? The human gut is a complex ecosystem and our health depends on its balance. 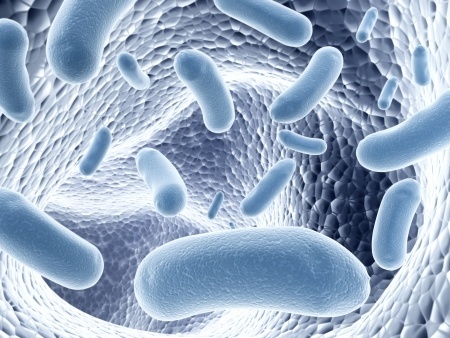 Our ability to test and correct the gut microbiota is advancing rapidly. Join pioneering Nourish Balance Thrive integrative medicine practitioner and competitive cyclist Christopher and I as we examine and interpret labs based on the latest gut microbiome research from the leading experts and answers your questions. Many types of bacteria have been shown to produce obesogenic toxins. Bring balance to your delicate gut ecosystem. If you’ve already done some testing then we can review the results during the webinar for $47. This offer is extremely limited so please act now to avoid disappointment. If you are curious or interested, diagnostic testing is available directly to you: diagnostic testing on iApothecary. Here are a few kits that can help fast track gut health and optimal microbiome strengthening and conditioning. Bionic fiber is fantastic — it makes people lean, mean, clean and hawwwt. However, many with moderate to severe dysbiosis and intolerances to FODMAPS and fiber cannot tolerate the best prebiotics, oligosaccharides or inulin or cooked starches (RS Type 3 and 5). Consider diagnostic testing to find your targets and one of these kits to get your gut health back on track. Target Optimal Gut Health with the best tools available. Restore the garden in your gut that poor diets, gluten/dairy, antibiotics, synthetic birth control and stress demolished! Many products streamline how we can super power feed our 100 trillion friends and gut flora! Besides eating a great, diverse semi-Paleo/WAPF diet, consider adding in extra prebiotics to hit the magic threshold of ~ 40 to 50 grams daily of total daily fiber. Our ancestors certainly were able to obtain double or TRIPLE this amount. So if you are challenged and cannot chew buckets of roasted weeds and rough roots, consider a few scoops of high quality, pharmaceutical grade prebiotics. Make a unique and personal blend of your favorite prebiotics. Prebiotics are fiber. The below list are superfoods for your beneficial gut flora which crowd out pathogens and opportunistic overgrowths of yeasts, parasites and bacteria. Mix 1 teaspoon or more of a diverse abundance of different types of fiber. These are the super fuels that stimulate growth of the guardians in the gut which protect your gut lining and, ultimately, your health and longevity. Your ancestral microbiome — Bifidobacteria longum, Akkermansia, Roseburia and Faecalibacterium — which protect your health, longevity and leanness love these super fuels below!